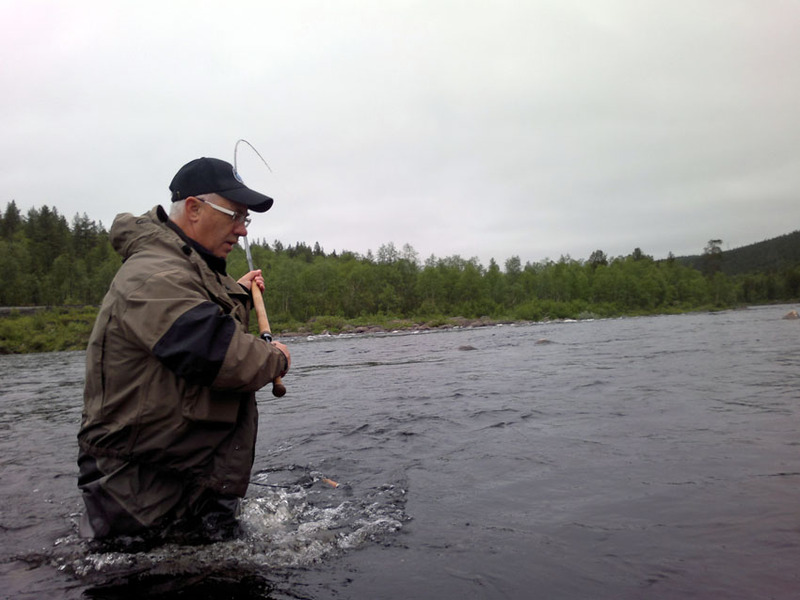 Common mistakes when fishing salmon on the Kola River. Unfortunately, the desire to throw the fly as far as possible dominates over all other technical solutions. Related to this is another mistake. To raise the line from water and throw away the fly is not easy for all anglers. Even experienced anglers often use the technique of multi-blank casting. But we must remember that in areas with a flat and smooth over the surface of the water salmon stops responding to fly even after one struck a line in the water. The chances of catching the salmon sharply reduced if the angler is not changing the position before the next cast. And if the casting technique is not perfect, the chance is minimal. 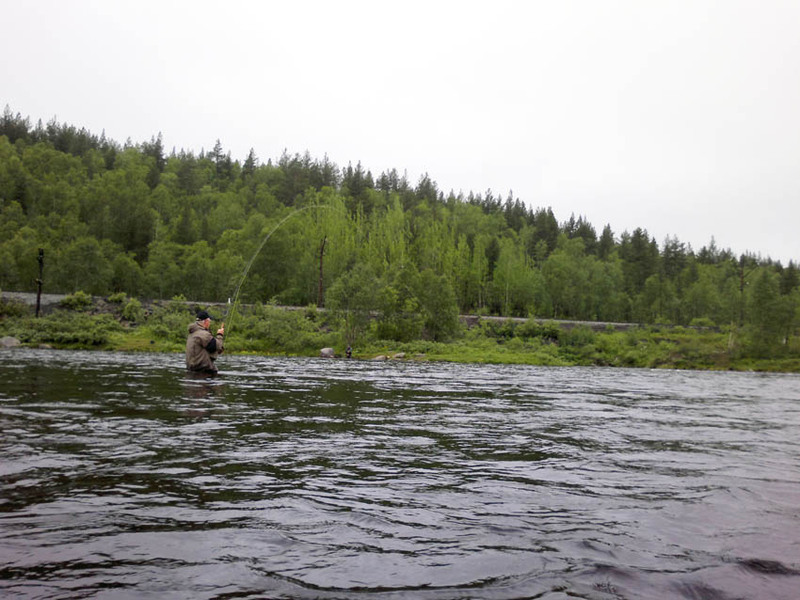 If we do not know the exact location of salmon in the Kola River, there is a high risk to scare them with incorrect casts or even to miss his locating spot. It is therefore very important to have an accurate idea of ​​where and at what trajectory the fly was moving. If you are able to exactly replicate the previous cast, you will be able to make a correct idea of ​​what territory treats your front sight. If you conduct a search of salmon, it is important to investigate every time a new territory. You can take a new step, you can change the direction or distance casting. The new territory - a new chance to find location of salmon. If you have the ability to increase the pace of fishing, then you'll increase your chances of catching fish. The cycle of preparation for the cast, correction of line and position of the fly, its effective and ineffective drift, preparations for a new cast all these factors take time. Usually, depending on the situation on the river when fishing with a two-handed rod such cycle takes 12 to 16 seconds. At this time, efficient operation of flies can range from 2-3 seconds to 8-10 seconds. This time depends on the nature of the portion of the river, the flow rate, for example, and the position of the angler. But first of all it depends on your experience and ability to work the rod and line. We must also remember some of the tactical aspects. For example, sometimes more beneficial will be elementary casts over the head with a close range than trying to fish at long range using Spey casting and its variants. If you add the all aspects of fishing, with a choice of position, direction, and casting distance, technical capabilities to make a cast, there will be a huge difference in the effectiveness of the two anglers fishing two different ways. You can verify this by using a simple mathematical device. You just need time efficient work flies in a single cycle multiply by the number of casts in a day of fishing. As an example, I will give the result of Kola river June catching in one of the teams, which included five experienced angler. One of them during a hard week caught 3 salmon (one of which weighed 15 kg) and lost 3 more fish. Other members of the team just had had one attack of a salmon or did not have anything! 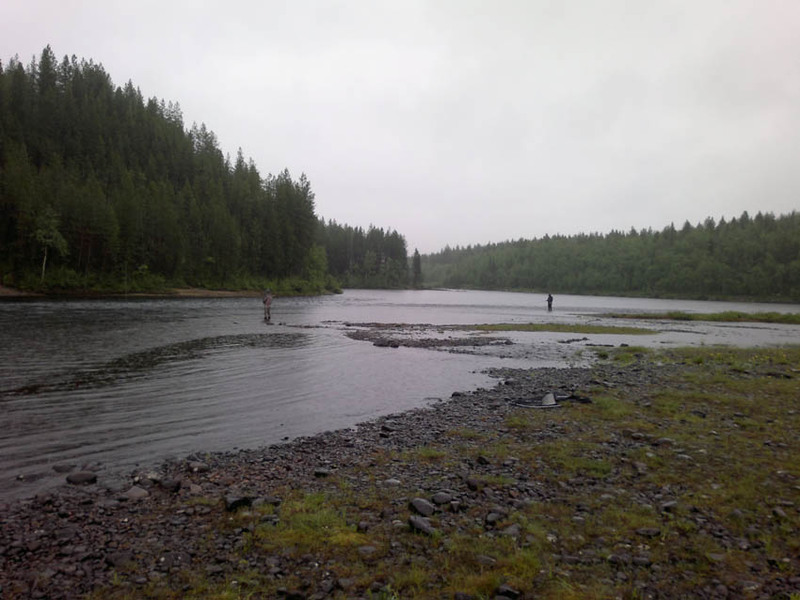 It speaks primarily about the readiness of various fishermen to adapt to irregular and difficult fishing conditions on the Kola River this season. Do not be surprised if I do not mention the name of efficient and effective flies for Kola river. If you decide to change something after a few hours without result, believe me, it is wise to change something in paragraphs 1-5, which have been outlined above. A fly and method of presentation is necessary to choose an on-site fishing. Perhaps all this seems too complicated, but these tactical and technical problems we solve for each fishing trip. 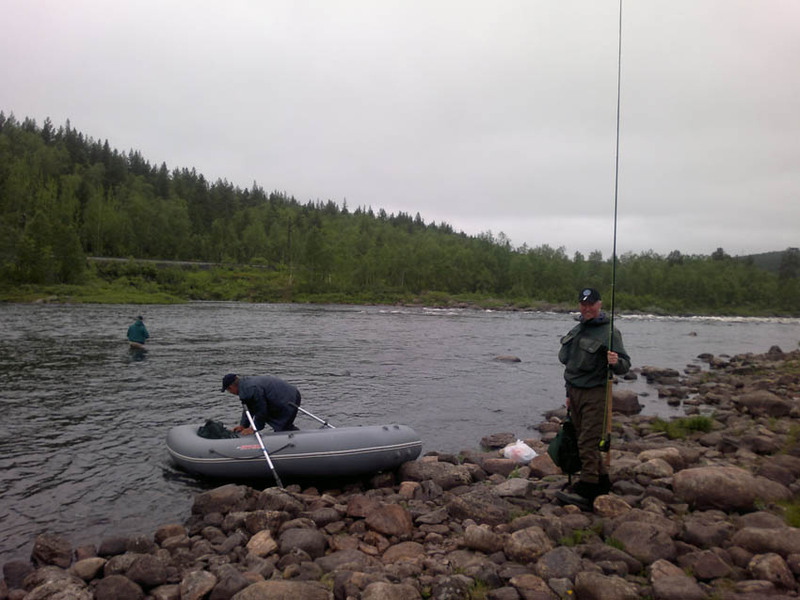 This year the situation on the Kola River was very unfavorable. A large number of fishermen and the small number of salmon have led to organizational problems and errors. This was especially frustrating for those anglers who are not fortunate to catch a record salmon.